Grundfos is an international manufacturer of pumps founded in 1945 headquartered in Denmark (Holland, Netherlands). Their first pump was produced in 1946. 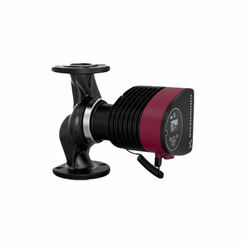 They have been an industry leader when it comes to innovative technologies with their water pumps. In 1965, the Grundfos submersible pump was the first on the market with stainless steel construction (all other manufacturers were still using cast iron). Innovation has always been a priority for Grundfos, and some of their main innovations were Solar Powered pumps (1984), Frequency Converter (1991) which allows for speed control and energy savings and they were the first company to have a remote controlled (1995) water pump. 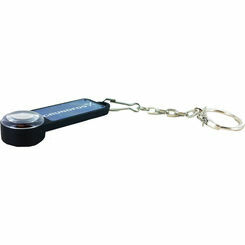 We carry everything, even the mount for your Grundfos solar panels. Flange sets, unions, motors, nozzles, etc. can all be found here at discount prices. Our prices are so low in some instances we may not advertise them, but a contractual obligation prevents us from advertising them outright. 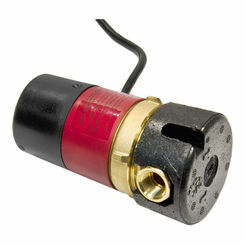 If you see a Grundfos part that states, see price in cart, that means the price is very low. What Are the Types of Grundfos Pumps? Drainage & Utility Pumps - These pumps can be used to transport (pump) drain water. Many of these pumps can be used in both permanent and temporary applications (installations). Different size pumps allow for larger or smaller flow capacities. Jet & Well Pumps - Smaller jet pumps can be great for those who have gardens (agricultural and Horticultural projects) or hobbies requiring a water supply. Grundfos well pumps are used for larger applications allowing a quick and easy way to transport water. 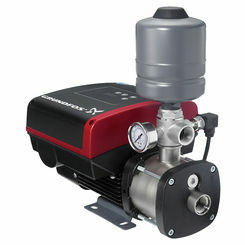 The Grundfos Jp07s-ci is a trendy jet well pump or try the Jp4-47. Circulating - Also commonly referred to as recirculating or circulation pumps, the UPS model pumps are the most popular Grundfos circulating pumps. These pumps are manufactured for the transportation (circulation) of liquids within your heating and air-conditioning application. These work well with radiant floor heating, boiler applications, pumps for refrigeration units and many other applications. Centrifugal - The CR model Grundfos pumps are great for both domestic and industrial applications because they can be used in water systems with seawater and/or the pumping of alkalis and acids, plus many more. Sewage Systems - sewage system pumps are for use with applications that have some solids, or water containing sludge. They are extremely strong and durable and can provide sustained performance in your sewage system. Pressure Booster Pumps - These pumps allow you to add pressure to your water lines. Grundfos booster pumps are the most reliable on the market. One of our most popular options is the SCALA2 115v pressure booster pump. Or go with the Grundfos MQ3-45 115v booster pump. Submersible Pumps - Just about all of their pumps are made to be submersible. It is essential to know what type of water pump you need for your application. Grundfos submersible pumps are built to deliver the best results and last you for years. Pump Accessories - PlumbersStock has a wide variety of accessories for your pump and replacement parts such as gaskets, flange sets, cartridge kits, valve kits and many more. Grundfos tops the charts as the world's biggest manufacturer of circulating pumps, covering roughly fifty percent of the globe's market for these pumps. Grundfos has an incredible manufacturing team that puts out over sixteen million pumps a year. This efficiency allows them to stay at the top of the industry in both innovation and quality performance. Grundfos circulating pumps are ideal for heating and air-conditioning systems and other centrifugal pumps for business, water schemes, wastewater, and dosing applications. Grundfos dedication to quality is unmatched, and their belief in a shared value model (Purchase, Process, People, and Product) helps their business strategy succeed globally. They believe that by taking this approach, they are bettering the local growth, creating job opportunities both locally and internationally while helping economic growth.